The posthumous veneration of Arthur Russell has intensified over the course of a decade, encouraged by a series of comprehensive reissues, a documentary film (‘Wild Combination: A Portrait of Arthur Russell’), a book (Tim Lawrence’s ‘Hold On To Your Dreams’), a Soul Jazz retrospective and a recent tribute album which aimed to promote AIDS/HIV awareness, the illness that ended Russell’s life in 1992. That’s not to mention a host of other projects which have paid respect to his influence. The awe with which Russell is increasingly held seems to stem from his stylistic plurality. His approach was non-hierarchical, with a prodigious life’s work which dynamically straddled the worlds of countrified pop, adventurous leftfield disco and singular avant-garde exploration. Although his focus was clear in each work it was myriad too, as many of these sounds bled into each other, essentially making Russell a genre unto himself. His outlook seems a prescient one in light of the eroded generic divisions defining the internet era. Yet whereas many contemporary productions often display a lack of coherency in their ambitions, Russell’s work is impeccably crafted. This quality of idiosyncratic overlap is one sustained throughout this first London performance of ‘Instrumentals’, a set of recordings inspired by the nature photography of Yuko Nonumura, a Shingon (affiliated with Japanese Buddhism) priest who was Russell’s spiritual teacher during a stint in San Francisco in the early 70s. The initial premiere of Instrumentals was in Berkeley, California in 1975. 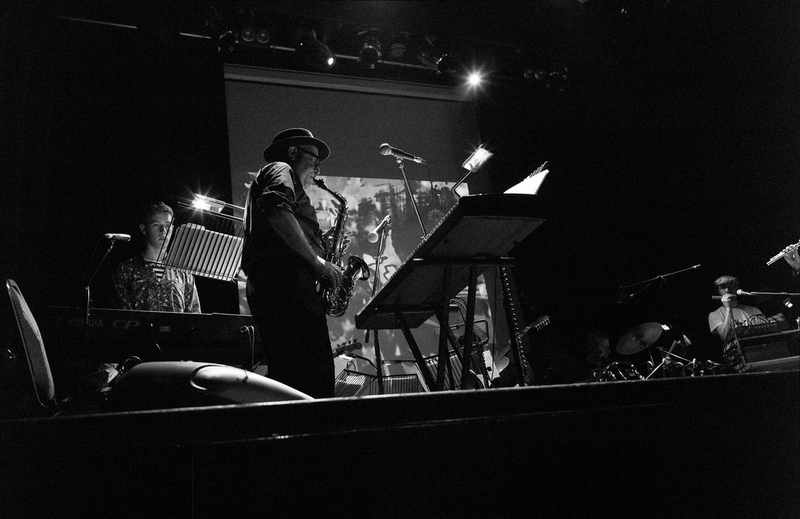 It was a series of pieces which although primarily written for ensemble – with the help of tonight’s ringleader, Peter Gordon – betrayed indications of Russell’s urbanity, with traces of Latin percussion and disco’s effusiveness bubbling under the brass-led minimalism motoring along in the foreground. Also in amongst the mix was Russell’s rural detours into country (explored on ‘Love is Overtaking Me’) and his interest in Eastern philosophy and spirituality. Undoubtedly aided by the fact that his collaborators and friends are at the helm here, this fluid and joyous performance loses none of those original endowments. Sacred but not grandiose, gentle but never saccharine, it’s a translation which remains faithful to the source, if at times there’s welcome extrapolations of certain threads. 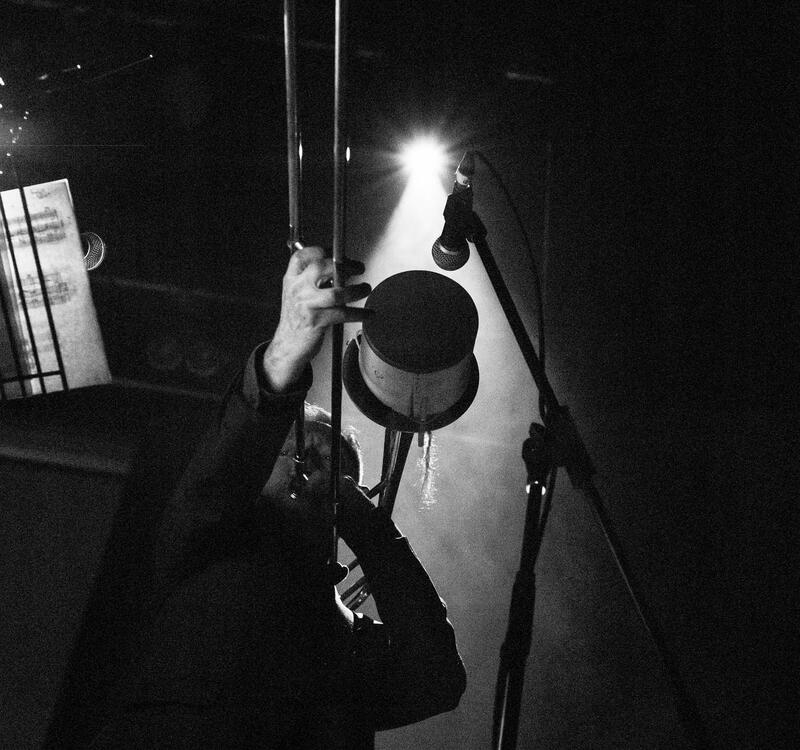 Peculiarly enough it’s a touching moment of feverish anticipation from Peter Zummo – trombonist and frequent collaborator with Russell – which encapsulates the nature of the performance yet occurs before a note is played. Before taking up his instrument he excitedly hops on the spot, a childlike reaction coupled with a grin. Considering what follows it’s not as absurd as it first seems. Throughout there’s a sense of overflowing tenderness and celebratory vibrancy colouring proceedings, as if an ardour previously bottled up has been cathartically released. This seems more like an inevitable, preliminary outburst upon reflection. Despite the sense of expressive outpouring there’s a composed intricacy about the playing with Ernie Brooks (bass), Gerry O’Beirne (guitar) and Bill Ruyle (drums & vibraphone) exhibiting an impressive store of stamina, as an insistent basis which accommodates Gordon (sax, organ) and Zummo’s more lavish and melodic flights. Although Gordon and Zummo undertake a more prominent, centre-stage role there’s an openness and solidarity to the performance, with Rhys Chatham (flute), Max Gordon (piano, trumpet) and Gavin Russom (synths) also fitting in seamlessly with a wonderfully frenetic scrum, one defined by a rough but coherent jostle of elements. As with the best of Russell’s work the communication seems complex, innovative, something rooted in experimental practices, yet the effect is disarmingly beguiling and affecting. Like the superlative ‘World of Echo’ LP, the predominant state conveyed is one of rapture, as the repetitious structures prove gradually elevating. But unlike the aqueous, melancholy zen of that album, here there’s a plain clarity. Singling out one special moment amongst many is a difficult task but the sparse solo trombone piece performed by Zummo proved especially memorable, with lilts and flurries silencing all but a few of the rafters. Soaring is a dirty word, usually associated with the superficially sentimental, but this feels like the right ascription in this instance; a genuine exception to the rule where something euphoric is attained without the usual pandering to low, common denominators. The course of proceedings had been mercurial up to this point and an ecstatic encore of ‘Is It All Over My Face’ felt like a final deliverance into elation; a looser, more exuberant inflection after the concert hall regality of the main performance. But even with the shift in tone it felt like just another unravelling of splendour, albeit one that resulted in some more active cavorting than the rapt eyes-front attention that was displayed throughout most of the night. Conveying just how warmly received the performance was, Gordon read out the ensemble roll call on three occasions and each was met with an enthusiastic applause, emphasising that this wasn’t just a tribute to a now inestimably influential, maverick producer but an exhibition for the talented people he worked with, who continue to explore similarly open sentiments in their own projects. One image springs to mind in light of the success of the night. It’s a familiar one, used often but it seems an apt one to mention. It’s a portrait of Russell with his eyes closed and his acne-scarred face set against what looks like a teeming, paradisal corn field. Had he heard his work on this occasion, it’s the state - and the place - you imagine he would have been sent to.